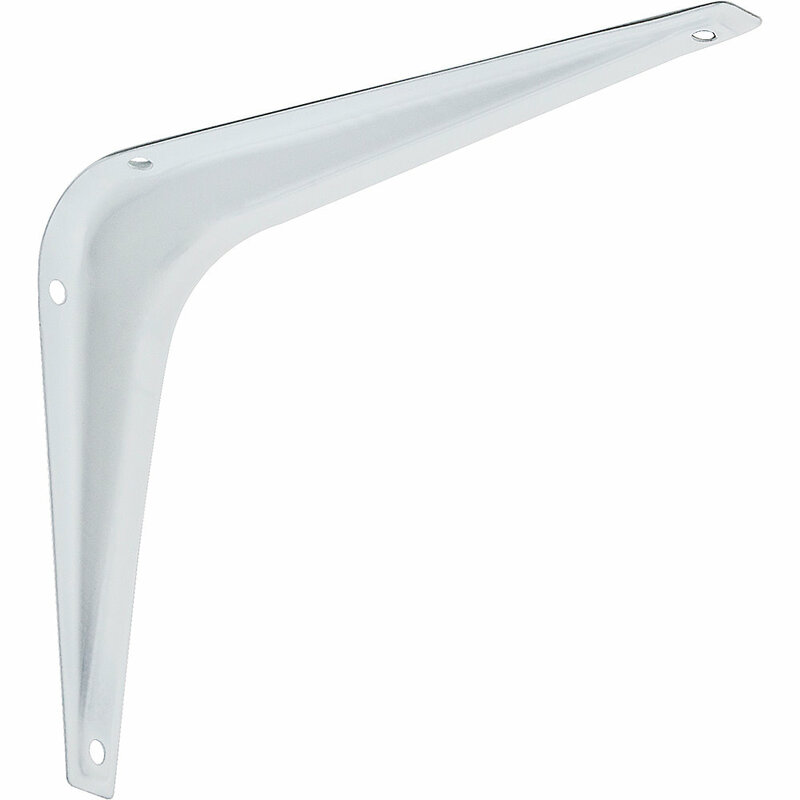 National N218-885 Utility 5" X 6" Shelf Bracket - White (211BC). 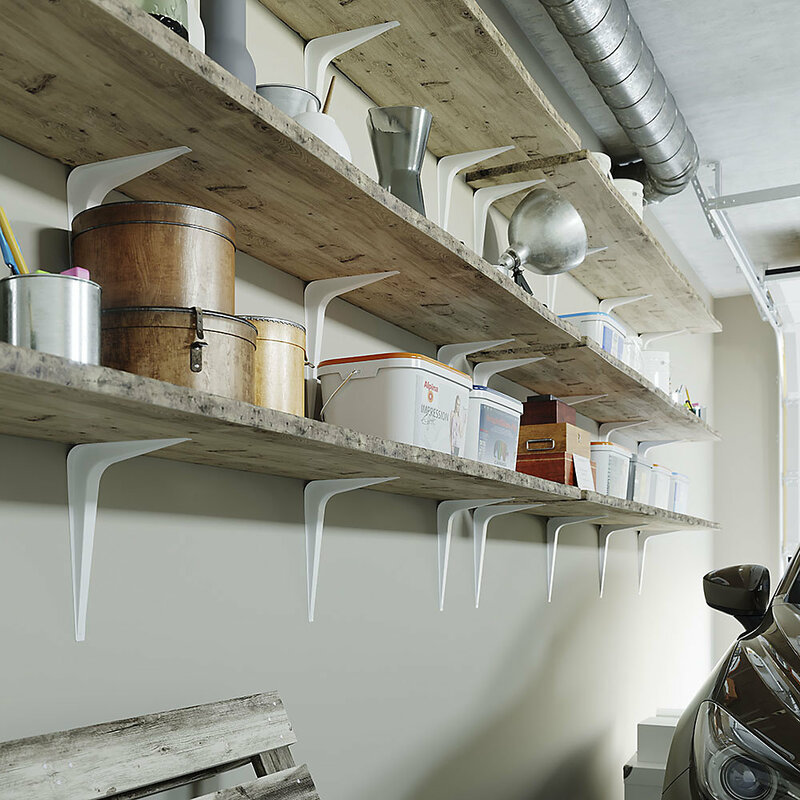 Designed for closets, garages and sheds. 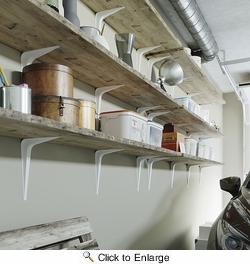 Brackets are sized to fit standard lumber widths. Six screw holes per bracket for extra holding power. Manufactured from steel.